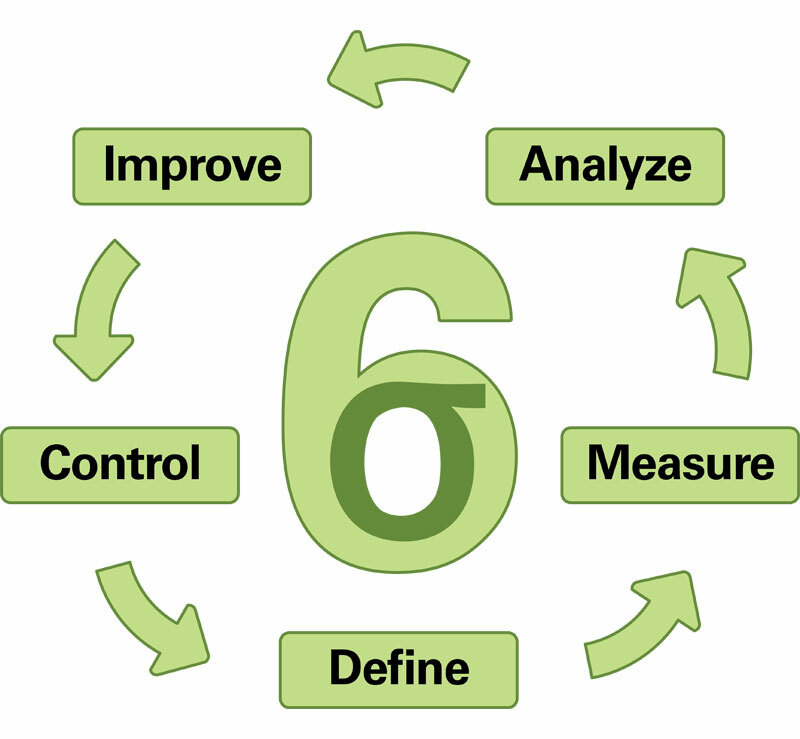 Six Sigma methodology is a system focusing on recognizing and removing causes of defects and errors in the manufactory processes. These processes are supposed to make products can meet or even more than customer expected. The defects and errors in the manufactory processes even a little one can cause much loss to the manufacturer company. Skepticism and doubt first encountered by this methodology from managers and organization for its statistical complexity. However, after its development and usage for some time, many businesses realize the benefits they can get using this comprehensive analysis tool. There are many advantages companies can get from using this tool. One of the biggest advantages is in the statements which emphasize that “no project shall be approved if a bottom line impact has not been clearly defined”. With such unmistakably defined goals, vagueness will be less to be dealt with. The decision will be clear coming out of some valid and reliable measurement of statistical data and research, not from random assumptions. This tool will help you emphasis on achieving possible goals. There will be a clear range between that which is not attainable and one which is attainable. The use of scientific techniques and precise tools are considerably effective on any given situations. The concepts used in measurements are integrated intended to give benefit both employees and customers. The information used in this methodology has real world meaning. It is applicable in real live situation not only simulation. Shareholders have recently been requesting companies to use this system prior to purchasing their stock. As it has many benefits, some limitation are said to exist within its measurements and procedures. The directed projects are often chosen by organizations subjectively rather than objectively. This means the goal may be mistakenly considered as achievable and favorable while the reality tells the different. It can cost much time and resource which ended to be wasteful. There are some findings by the researcher that there are some individuals calling themselves ‘expert’ while in the reality they actually don’t comprehend enough techniques and complex tool necessary to implement it effectively in an organization. Many companies hiring them are getting lower standard version of the principle of Six Sigma methodology implementation. Therefore it is suggested for Six Sigma community to come together and produce a strict training and certification standards to be issued throughout. It will be helpful in getting rid this kind of problem and standardize the process along with it.